On Friday, Sept. 4 at 12:01 am in your time zone Force Friday begins! This event is the worldwide launch of new Star Wars toys and collectibles for the upcoming film: Star Wars: The Force Awakens. New products from Hasbro, LEGO, Mattel, Funko and others will be officially for sale at midnight store openings around the globe. 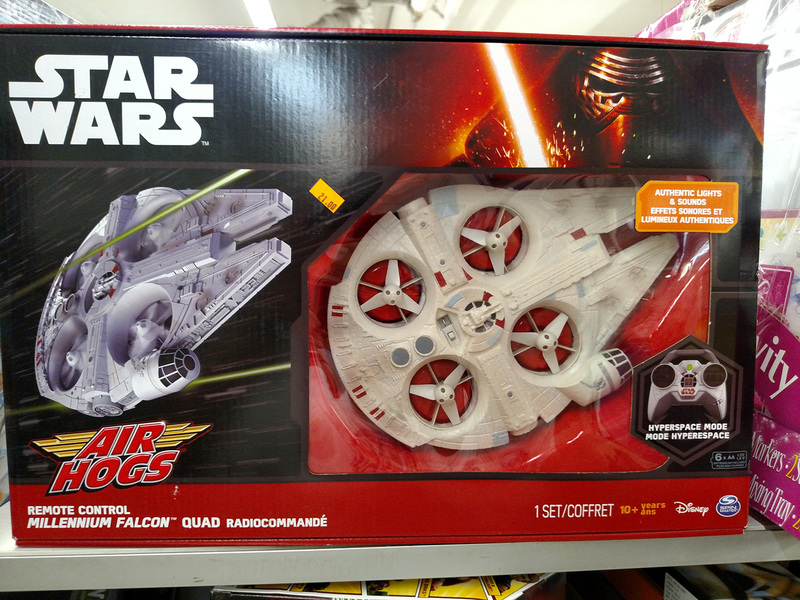 While Lucasfilm has been heavily promoting this event with YouTube tie-ins and events at Toys”R”Us in Times Square, they are less forthcoming with what new toys will be available. Only three days away from the massive shopping event most collectors only know what to expect on shelves through various leaks online. A coalition of Star Wars collecting fan sites have joined Forces to compile all known releases into the Force Friday Product Checklist. The sites that contributed are Boba Fett Fan Club, Idle Hands, Jedi News, Jedi Temple Archives, Mint In Box, Star Wars Action News, Teekay-421 and Yakface. So prepare your Friday shopping spree, download the Force Friday Product Checklist! Be sure to check back as the list will be revised as new items are revealed up until Force Friday. Thanks to everyone that helped make this list possible, especially those fans that read our respective sites. 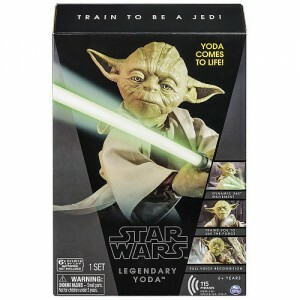 ToysRUs.com is now taking preorders for Spin Master’s Legendary Yoda Interactive Figure. Standing an impressive 16 inches tall, Yoda’s dynamic motorized body movement and full voice recognition make him the most realistic Star Wars toy ever. He speaks 115 phrases that will lead you to Jedi Wisdom and Lightsaber mastery. Only Tech Deck delivers real graphics from authentic skate brands! Now you can bring home the exclusive Collector’s Edition Tech Deck Handboard from Santa Cruz. Designed with incredible detail, this limited edition Santa Cruz Star Wars deck features an elaborate illustration of the galaxy’s most famous Jedi Warrior, Yoda. Measuring a massive 3.75” by 10.5” and complete with a Star Wars display case, this exclusive board is a rare collectors piece built for an audience. 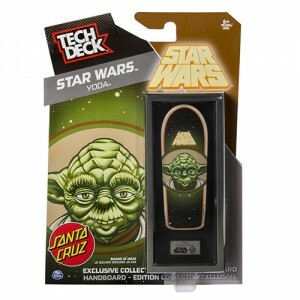 Bring home the best of both Skate and Star Wars worlds with the Tech Deck Collector’s Edition Santa Cruz Star Wars Yoda Handboard! As Force Friday creeps ever closer more merchandise is hitting stores. Local JediDefender collector Brian sent us a few images of new product in packaging for The Force Awakens from Spin Master, Uncle Milton and Hasbro. Click on through for a few images. Our friends at JediDefender posted news today that Star Wars Tech Decks (from Spin Master) have started showing up at Target hot off the announcement from Santa Cruz. For the uninitiated, Tech Decks are mini skateboards (about 3.5″-4″ depending on board style) that reproduce current or vintage skateboard designs. Seeing as that I grew up a “skater”, these will definitely be on my radar to acquire. The question is, can I still land a pop shove-it to 5-0 grind? Click on through for the image gallery courtesy of Flyguy.